Fundació CTM Centre Tecnològic hosts a pilot plant to produce biogas and reclaimed water in farms from cheese whey using submerged anaerobic membrane bioreactor technology (sAnMBR). sAnMBR is seen as a potential technology for high-rate anaerobic treatment by linking anaerobic biological treatment with membrane filtration. This involves almost complete biomass retention and permits operation at high sludge retention times (SRT) with the capacity to generate high quality effluents. Nevertheless, its drawbacks (i.e. membrane permeability, dissolved methane in water, presence of sulphate reducing bacteria, etc. ), still limit their implementation in full-scale processes. 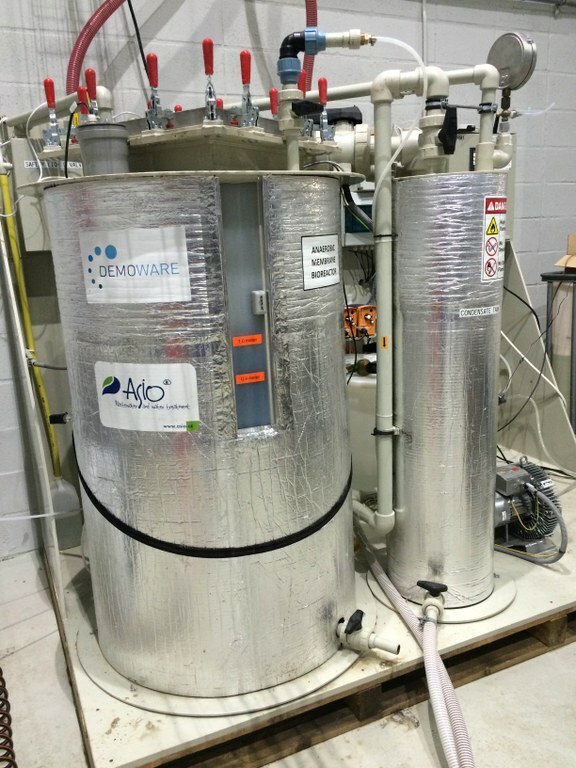 Within rural environment, CTM, along with Czech company ASIO and the Swiss university FHNW, have designed and built a 500 L pilot plant pilot scale which is supposed to facilitate the implementation of sAnMBR technology in rural zones to integrate wastewater reclamation with waste management. 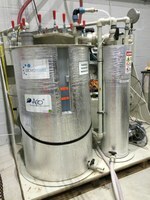 The sAnMBR pilot plant is actually providing treatment to whey. Cheese whey is a by-product from cheese manufacturing and is a strong organic and saline effluent. In order to recover water and energy from the whey, it is treated in the sAnMBR, which combines the biologic treatment of whey, the water separation by the submerged flat-sheet membranes and the biogas production, and therefore, energy generation.